Distribute knowledge to your employees, customers and partners, using Raven360. Trainees can register, pay for and access your content on a platform that you can customize to match your brand and site. Upload content of any format. 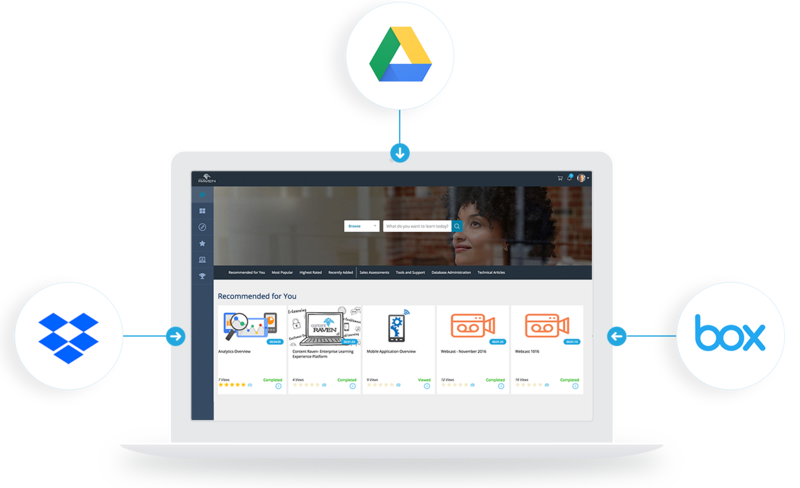 Raven360 supports PDF, video files, Google docs, HTML packages, SCORM packages and more. You can author your own material from within the platform or bring in outside content. Integrate with Dropbox, Drive, or Box to access everything you already have from one single dashboard, at the right time. Curate the best online resources —owned or not— and make them available to your teams. Our Customer Success team can help you migrate seamlessly from any content library or set up you are using today. Don’t do any of the heavy lifting. 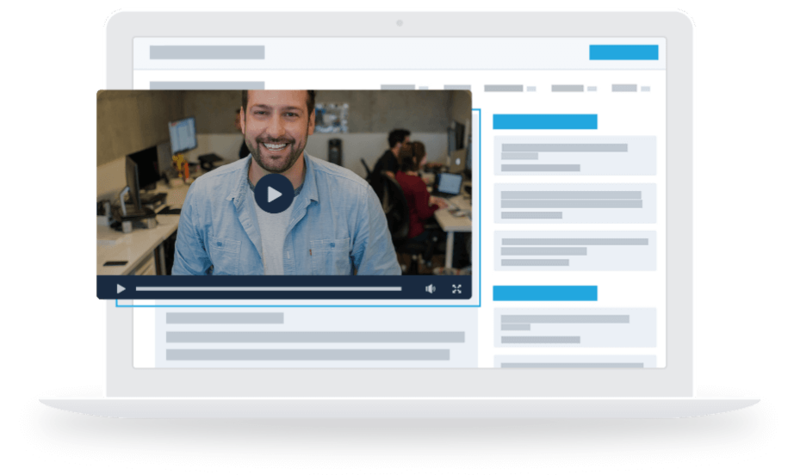 Deliver your content via face-to-face Instructor-Led training, Virtual Instructor-led training and a purely digital, on-demand platform. Raven360 adapts to your content and the way your customers prefer to learn. 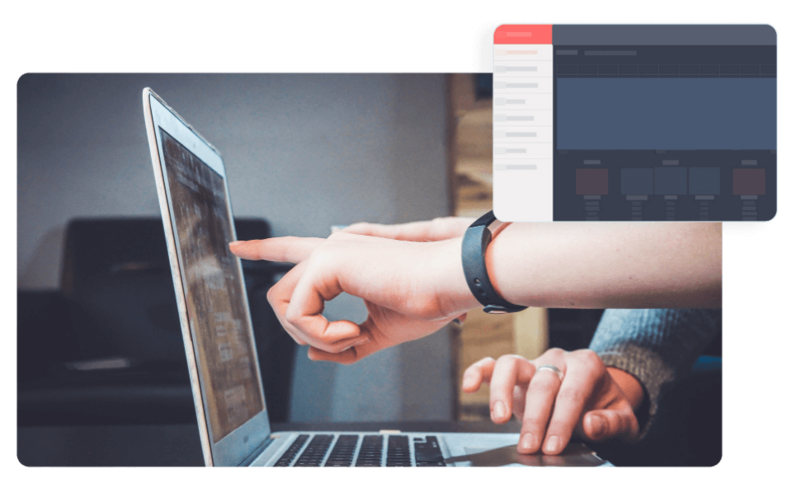 Raven360 lets you charge for your content through an e-commerce platform that you can set up without any coding. Monetize ILT, VILT, Hands-on Labs and On-demand subscriptions. Trainees log in, use their credit card to pay and get immediate access to your material. 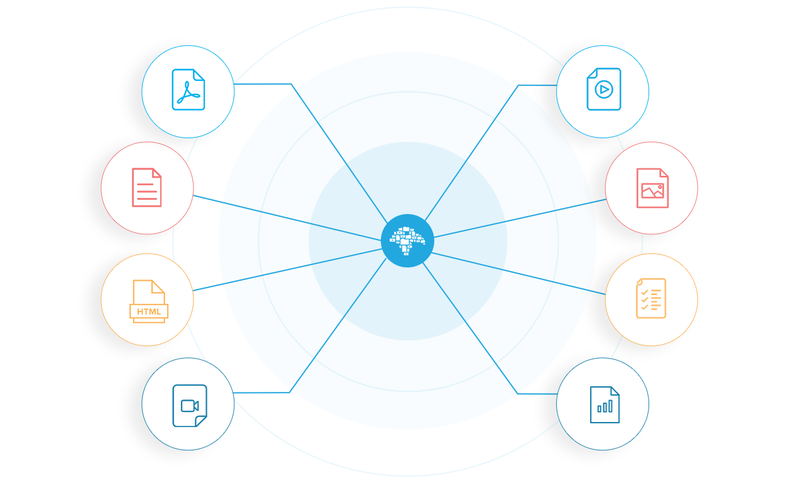 Go from open classrooms where users can access all the material at once to pre-defined learning paths where you dictate how the content is consumed. Manage how you feed your content to increase knowledge retention. Use Raven360 to support up to four training modalities: on-premise live training, virtual live training, a mix of on-premise and virtual classes and a fully self-paced, asynchronous class with delimited access. Technical trainees access a virtual machine instance of your software on their browsers —no downloads, no installs. They get hands-on experience using your tech, without compromising real data or breaking stuff. They can save their work or start clean every time they log in. Upload your training material once and map it to any course, channel or learning path you need to. Users will always have access to the latest version and you won’t have to update your docs on multiple platforms. Grab a piece of content inside Raven360 and embed it anywhere online. 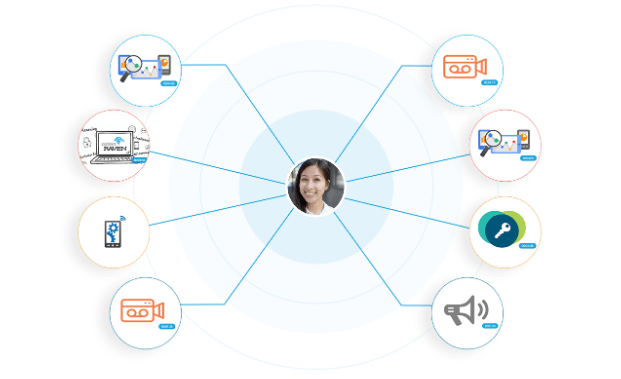 It works for public and private content in your Raven360 platform. Connect your assets with other sites you are already using. Allow users to access training on the go and at their own pace. Raven360 works on iOS, Android, Windows, Mac and Linux. Users can even access content while offline. 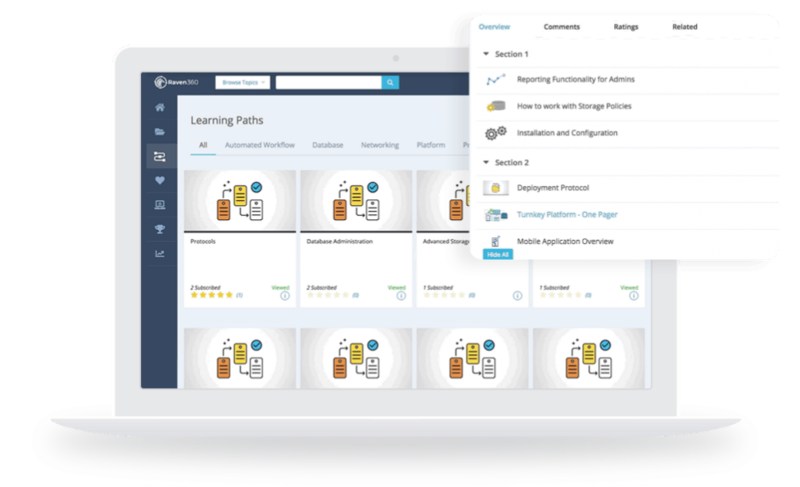 Send automated notifications to all users when new content is added to a Learning Path or channel. Alert users that content has changed via the learning platform or email. 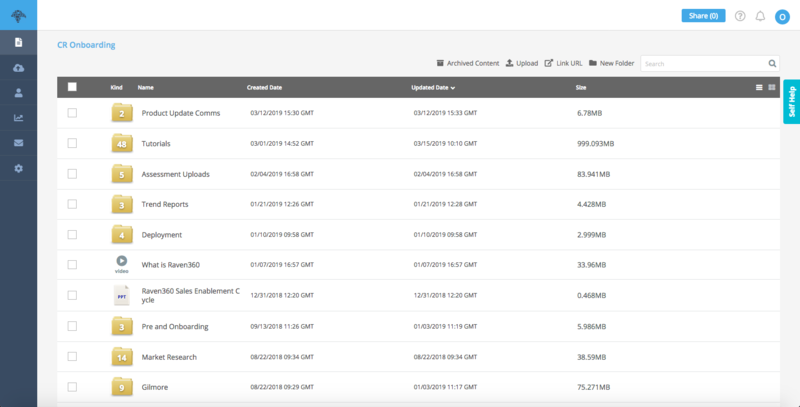 Assign individual and group level access to your content. Prevent confidential information from leaving the platform or landing on the wrong hands, with industry-leading security. Generate private content for authorized partners and VIP classrooms. Grant access to locked trainings with unique license keys. Packages put users in a controlled environment where they access only the content needed for their role. Don’t rely on them to find the right training on their own. Packages are built for each specific person. 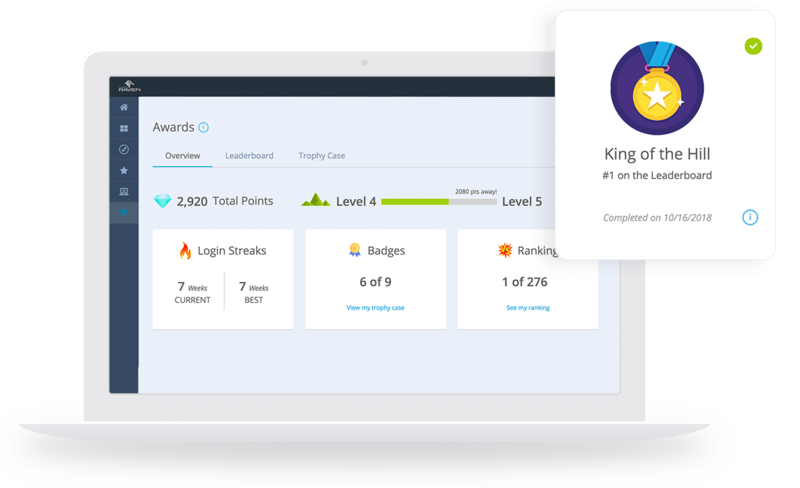 Add gamification to the learning experience. Users see how they are doing against others. As they learn, they win points, badges, trophies and level up their profile to master the leaderboard. Keep users active in the platform and excited about new content releases. Certify partners on a global scale, at their own time. Define trainings that need to be 100% completed for a user to move forward and get certified. Users can take rapid quizzes for quick knowledge checks. Managers can review employees and give constructive feedback through written and video assessments. See who’s learning what and assess how much they know about any subject. Identify bottlenecks in your training and see why people are getting stuck. 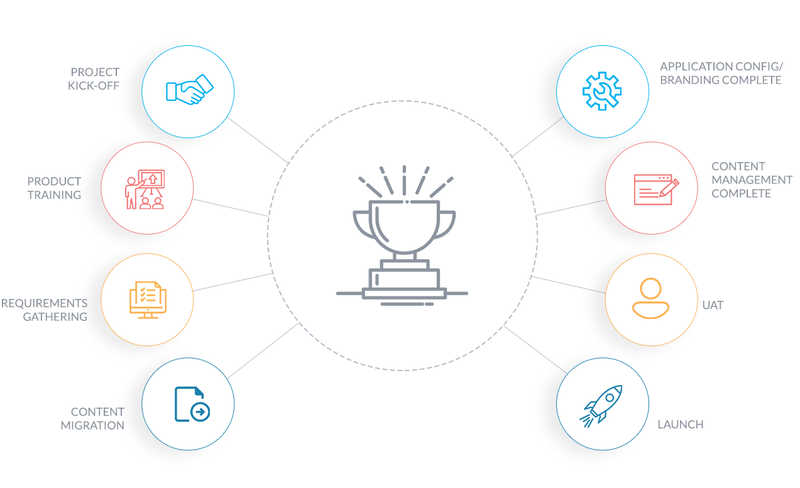 Certify customers and partners once they’ve gone through your mandatory content. 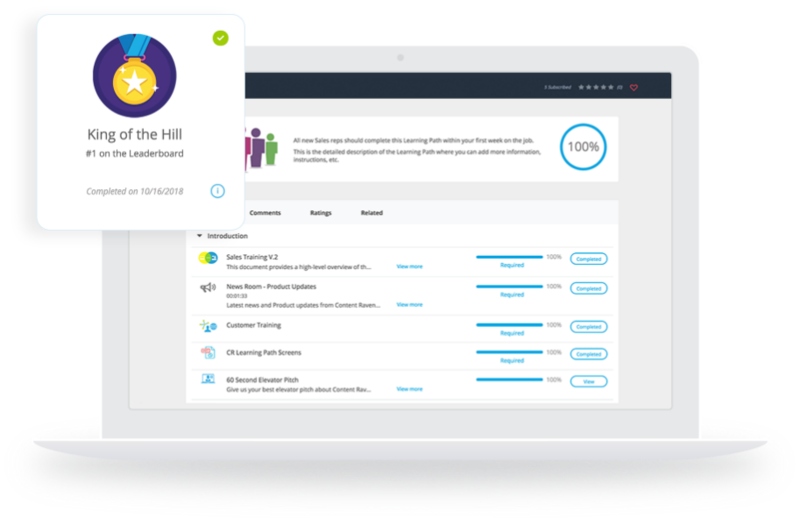 Users can easily rate your content, Learning Paths and courses. They can leave comments for you on the platform, so you can continuously improve your training. Juniper now receives very few support requests. Users are able to navigate the content on theirown, find what they need and complete their certification with little to no help from the Juniper team. 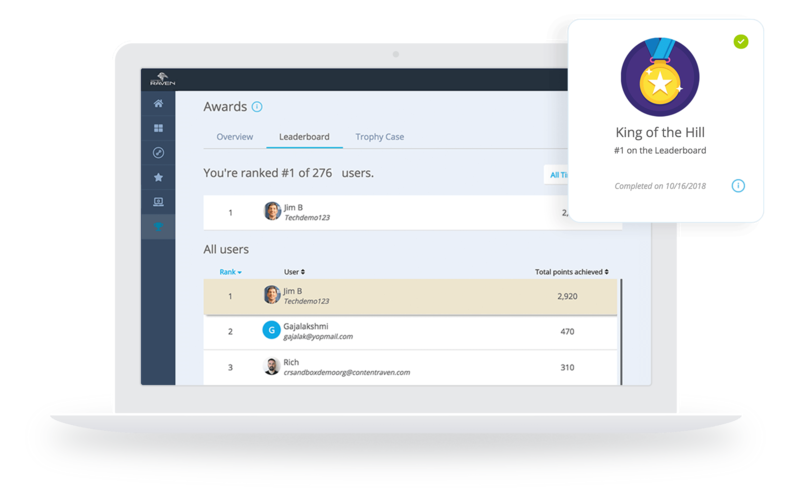 With Raven360’s eCommerce Engine, users are able to advance from free content to a premium monthly subscription model, without ever leaving the platform. Contact us about custom integrations through our Rest API. Our Customer Success team will help you migrate and organize your current content library, to match your company’s training needs. 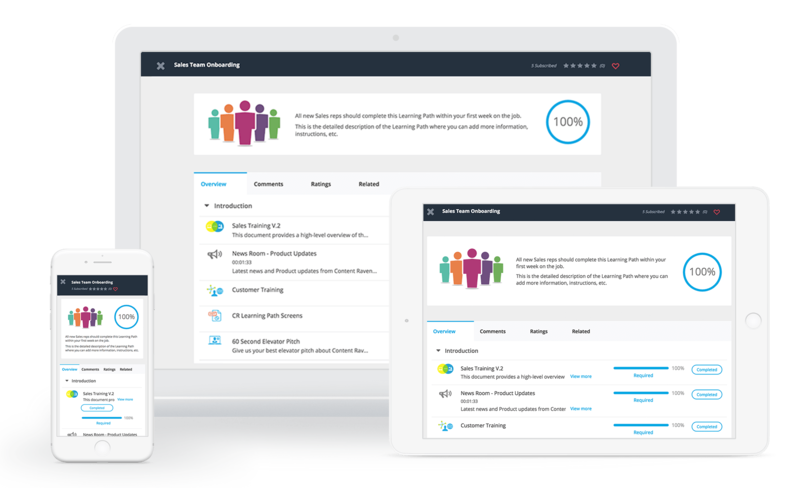 Start training customers, partners and vendors without doing any of the manual work.